Like almost every RV'er out there, I had a 25 foot shore power cord. You know, the one you plug in at campgrounds or at home to supply 120V AC power to you rig. It gets used a lot! So much so that the plug end detaches itself from the heavy rubber around the wires. I could SEE the color coded wires inside. It seems that the cables are made as one piece designs. That's a great idea to keep the water out, but not so great when you have to replace it! Since it's one piece, the idea is....you have to replace the entire cord. OK...I thought, I wanted a longer one anyway. Yikes, with the price of copper up so high, a 50 foot cable was prohibitively expensive. Now what. Well, for less than $20.00 and a bit of labor you can replace JUST the end while maintaining it's water resistant nature AND adding a trick new feature. How? First, you have to pick a style of plug end. Make sure you buy the right one. My coach has 30 AMP service, yours may as well, but if you have 50 AMP service it WILL NOT FIT! In fact putting the wrong one on will cause disaster. Once you figure that out, you will have several options. I liked the one where the wire comes out at a 90 degree angle to the cord. It would let me hang the cord straight down from my outlet so it wouldn't be under undue stress and perhaps last longer. It will also allow water to flow around the weakest point in its water tight "armor." The handle to pull it out was a nice addition. Next, the scariest part! You have to unplug your shore power cord from the outlet and CUT off the end. Once this is done, there is no going back! I tried to keep as much cord as I could, so I cut VERY close to the molded end. Since it had already detached itself from the outer cable, it was easy to snip each wire individually. Once that was over the next bit was much easier. You have to strip away about 3 inches of the outside insulation to expose the three internal wires. They will be White, Black and Green. There will likely be some insulation inside that can be snipped away once you've uncovered the interior. Once you have 3 inches exposed of the three internal wires you will have to strip the insulation on each of these wires back about 2 inches. Once the copper is exposed, twist the ends to make a tight wrap, Next, take apart the new plug end. This is very easily done as it's just three small Phillips screws holding it together. Now loosen the 2 screws on the wire clamp at the base of your new plug end. Slide the cable into the new housing clamp until the wires can easily reach the terminals. The Green one is the toughest! Bend the, now bare, wire into a "U" shape so it will fit around the screws on each terminal. Make sure you place the wire so the "U" goes from left to right. This way, when you tighten the screw clockwise, it will pull on the wire not push it out from under the terminal! Make sure each wire goes to its appropriately labeled terminal. Tighten all the screws! Now tighten the wire clamp at the base so the cable cannot pull out of the new plug end. Reassemble the 2 halves and tighten the three screws. Now is the moment of truth. Shut down the main breaker and all the other 120V AC breakers in your coach. Plug the new end into the outlet. No sparks? GOOD! Flip on the main breaker. All still OK? Now turn on the least important 120V breaker. Which one? I used the one connected to my left side outlets. Had a lamp plugged in there. Turn it on. In my case, the lamp turned on and there was NO smoke! Done! Turn on the rest of the breakers one at a time and make sure everything works. Now go back and unplug your new shore power cord end from the outlet. Take the 2 halves apart and apply small amounts of silicone sealant to the screw holes, terminals and around the edges of the housing itself. Put it all back together (don't forget the handle!). After you tighten the screws, wipe away the excess from the edges and put silicone in each screw hole. Wipe clean with a paper towel until the silicone is level with the case. This should minimize long-term water intrusion and make the installation more vibration resistant. I know this SOUNDS complicated; it isn't. It will save you some big dollars (likely around $250) I am all for saving money and getting the most out of what I already have! I'll say it again, "My RV is small, real small." I have no problem adapting to the living space. It serves my needs admirably. 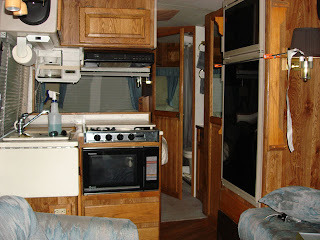 After all the research into what RV to buy, it should be exactly what I wanted! My only complaint after 5 years of ownership? Not enough storage space. This is a lament any RV'er, no matter the size of their rig, can identify with. It really doesn't help that I am a bit of a pack-rat. So far, I've done pretty well downsizing items and paring down what I carry with me. At this point I have run out of actual, bona-fide storage places and have been getting more and more creative when stashing stuff. In every RV there are many unused spaces that can become storage. Finding them is the trick. Let's look at a simple example of unused, usually wasted space. Under my Lavatory sink is a cabinet, inside that is the hot water heater. Above the heater is a shelf that spans the full width of the cabinet itself. The problem? There is a water pipe that goes THROUGH the shelf, right in the middle. I could remove the pipe, replace it with a flexible one and re-route it...but it's not leaking! Why mess with something that isn't broke? Knowing me, it would leak the minute I finished the replacement. So what to do? Get creative! I found a small plastic mesh bin (3 for $1) at a dollar store and cut out a notch! It's not big storage, but now I can store a few bars of soap where they are needed. 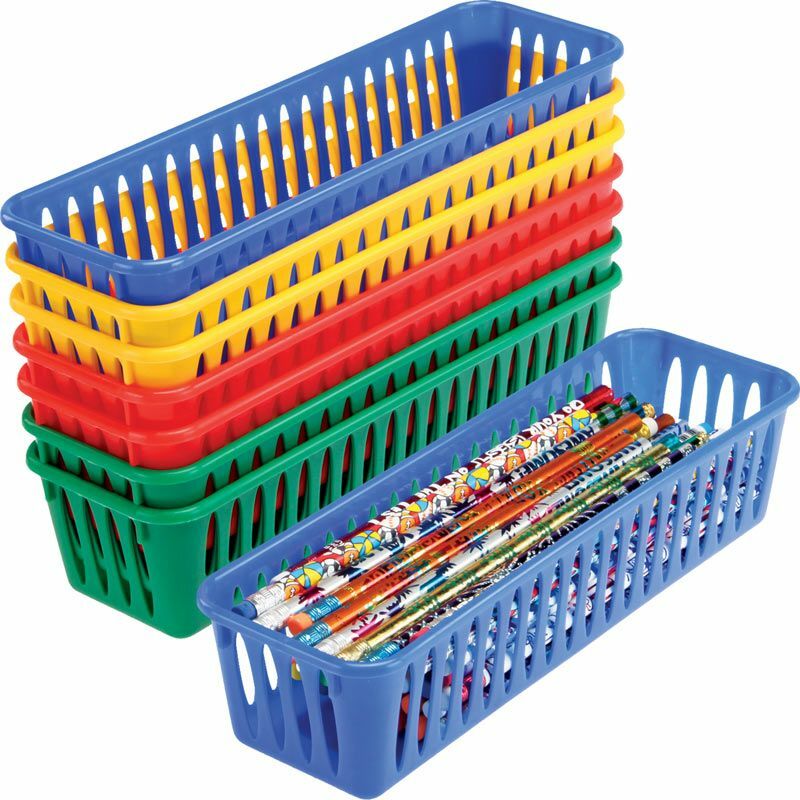 Not only that, since it spanned most of the pipe, and they stack nicely, I have a whole plastic basket to fill as well!. Bonus Result! What other spaces lurk in seemingly impossible spaces within your RV. In my Wardrobe converted to Pantry closet is a drawer, under that, lying within the dark recesses of that space, is a 45 degree angled piece of wood that supports the structure. A great place to stash valuables when you aren't in the RV. Of course, cover it with a scrap piece of wood or paneling on a hinge and you have a hidey-hole. Not likely a burglar would take the time to look there! When I converted my old style 13" CRT TV to an LCD Monitor there was a HUGE amount of wasted and unused space behind the new TV. I am still working on some kind of hinge-and-latch affair that will allow easy access, but it is essentially the same size as 2 of my overhead cabinets combined! Look around, closely. I'll wager you can find any number of spaces that can be converted to some additional storage. RV'ing is always a trade-off. Face it, most of us have a lot of "stuff." If you've ever heard the late comedian George Carlin's riff on STUFF, you know it is highly likely he traveled in an RV (or at the very least a VW van!). As your available space decreases, you have to winnow down your stuff. It's tough (believe me, I know!) but a necessary trade-off for traveling in style and comfort. Use Light To Create Ambiance AND Illuminate! I am always on the lookout for "Way Cool" things. Whether they are tools, electronics, or simply neat looking I am always a taker. Especially if the price is right (low!). I ran across these little beauties on a recent trip to Massachusetts. I'd never seen anything like them before and they were a bargain! Tiny lights soldered directly to coated copper wire with a control and battery box at the end, 8 FEET of them. Everyone knows I like LEDs, but these were special. I had never seen such delicate strings of LEDs. They were available in many colors, however the white ones were the most beautiful. When lit, they give off the same color temperature of light that a candle does. There are so many things you could use them for. Of course, they could be used as a light source, but that's not what this is all about. They make the PERFECT light for creating ambiance. I'm going to wrap them around a glass table decoration and use them just like I would candles. Maybe put them IN a glass sphere, wound around to create a pattern. Based upon my experiences and observations of LEDs for the last few years, these lamps, powered by three AAA batteries should last upwards of 70hours. Perhaps longer. The battery pack also allows you to have them switch off after a pre-determined amount of time. Very useful if you forget to turn them off after dinner. These are ideal when attempting to set a romantic mood. Add some wine...with a stow-able corkscrew and you have the makings of a romantic evening. Even better, add a one skillet "gourmet" meal and see what develops. I have seen them in various colors with various power sources. I.e., 120V transformer, bare wires and the like, but the small (3"x1"x2") battery back seems the most versatile. I believe there may be a multi-color remote controlled version as well...but certainly NOT for only $1.99 each! These are small and easy to store. Perhaps hang some in the bedroom as well? They appear fragile, but are really quite robust. Even the wires and solder joints are coated with some kind of acrylic. They are likely very water resistant as well, though I haven't tested that yet. Yes, they have some utilitarian value as lights, but sometimes just having a pleasing appearance is enough. I'll wager I could get them to twinkle...or at least fade in and out randomly. With the addition of a few bits and pieces of electronics that could be arranged. Now all you need is a fireplace to make that special evening...perfect. Have you ever wished you had an extra hand? For example, you are working on some project that forces you to contort your body into an odd position while grasping a part AND one or more tools while you attempt to work by feel since it's too dark to see and there is no way to hold a light, too? Sure, the "flashlight" in the mouth trick or even a head-mounted lamp will work. Sometimes. Ever have a flashlight in your mouth for an extended period of time? Yuck. You may know where its been. If you do...you likely don't want to use it like a lollipop. In the past, I wrote about a very handy light that attaches with a magnet and is inexpensive and useful. But what about surfaces that aren't magnetic? Found one for that too! I like my magnetic light, so much so that I have two attached to my range hood. Great for emergencies...late night bathroom trips and a whole lot more. After using them for a very long time, it became obvious that they are a bit limited. If the magnetic surface isn't parallel to what you want lit up...it becomes more challenging to place the light where it will do some good. Not only will this new light allow you to bend BOTH it's lamps to where you need them aimed, it attaches with suction cups so many more surfaces are fair-game. I've been able to get light to places I never could before. Well, not easily anyway. Two Lights, Two "Goose-neck" Arms, Two Batteries (AAA) Two Suction Cups and One Switch. That's it. Brilliant. The lights are LED and the Arms move (and stay) in any position you will need. Put the lights on different spots or both on one. They use Daylight (5600k) light so it's easy on the eyes albeit a bit blue (like the sky) The two AAA batteries will likely last a long time and the switch is robust. All for 2.99! I bought two! Oddly, it didn't have a magnet as well, so I just glued a small rectangular one on the back (being careful to NOT block the battery door!) and it will attach to most surfaces with ease. Never underestimate the value of being able to see what you are working on. It also doesn't hurt to be able to reduce the stress of working on any project. No more juggling and dropping (and cursing.) If it reduces my stress and maintains what little decorum I have left....I'm all for it! WARNING! 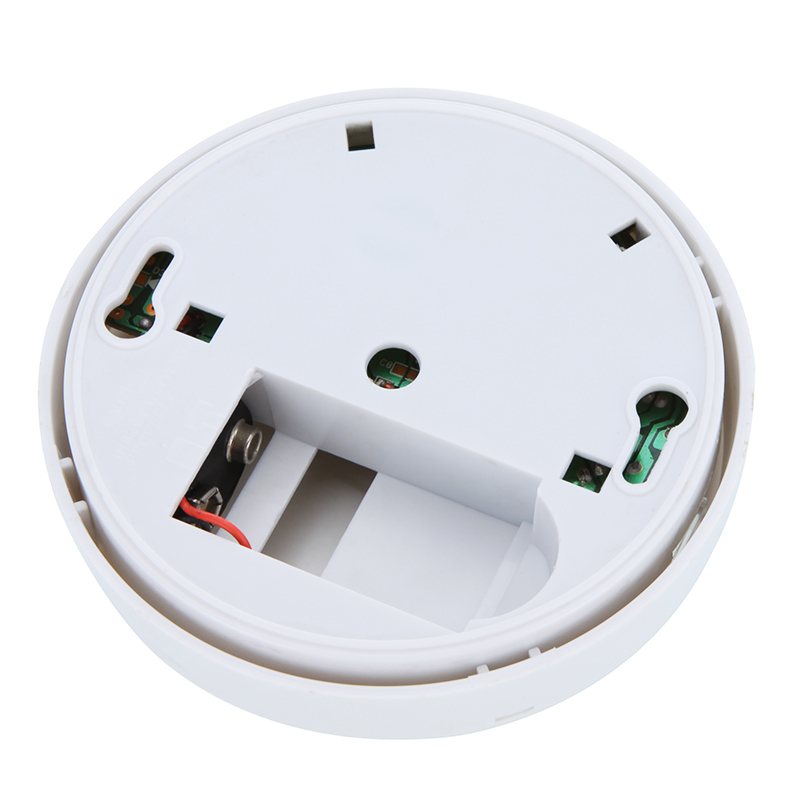 - Replace Old Smoke Detectors!! But is it Really working?? If your coach isn't new, you should check how old they are immediately! Bad things could happen f you don't! Turns out, smoke detectors have a limited life span. Around 10 years or LESS for older models. They should ALL have a date code stamped on them or a label with the date printed on it. Either on the back or inside the unit. Mine was near where you replace the battery. At 10 years (or less) you have lost 30% of the detectors sensitivity. It will likely still work...but give you SIGNIFICANTLY less time after a warning is issued to do something about it. By then, maybe the smoke is very dense, or fire has already gotten out of control. I want as much warning and as much time as I can get. This could be life threatening and/or property destroying! Truly, very important!! PLEASE, check and replace the detectors NOW (if needed). These things really aren't very expensive and could save your life, literally. Also, make sure you purchase good quality batteries. I use name brand alkalines in mine. You could buy the even pricier lithium ones...but I really see no benefit. In fact, they may lead you to believe that the monthly (or before EACH trip!) test isn't required. When I replace my battery, I write the date it was replaced on a small piece of white tape. Then I simply stick that on the battery. You COULD affix the tape and THEN write on it, but since I always forget to do it in the first place and have to attach the label after the battery is in, it seems counterproductive! Replace the battery. It's simple. Inexpensive and will only take a few minutes...if that! There are always bad things waiting to happen to unsuspecting RV'ers. An ounce of prevention is always worth a pound of cure! You know, a couple of seconds may save your life,, why chance it?